Drop-N-Go Extraction Set applies glass-fiber filter to capture and purify high quality nucleic acid within a few minutes. 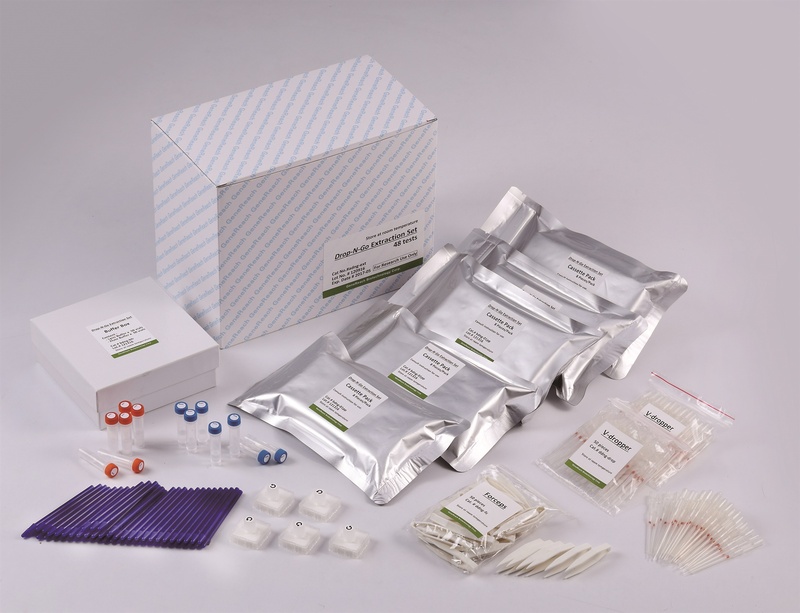 The compact and easy-to-use design enables users to prepare nucleic acids for downstream application on the insulated isothermal PCR (iiPCR) system for point-of-need detection of biological targets. ￭ Filter-based nucleic acid extraction method. ￭ Easy recovery of nucleic acid from sample lysate. ￭ Extract nucleic acid from various sample types such as whole blood and shrimp tissue. ￭ Nucleic acid in eluate ready for iiPCR assays. ￭ 48 reactions per set.